A new Michigan State University study finds pre-school teachers need better training in science and math. Researchers studied 67 Head Start classrooms for children between three and five years old. They found pre-school teachers focused primarily on literacy. The MSU researchers say 99% of preschool teachers engaged in literacy instruction three to four times a week. However, they found teachers spent less time on math (75%) and far less on science (42%). Hope Gerde is an associate professor in MSU’s Department of Human Development and Family Studies. She says it’s easier teaching science to three, four and five year olds than people may believe. Gerde predicts increasing math and science lessons in pre-school may help improve children’s understanding of math and science later in life. The study, funded by the National Science Foundation, is published in the journal Early Education and Development. 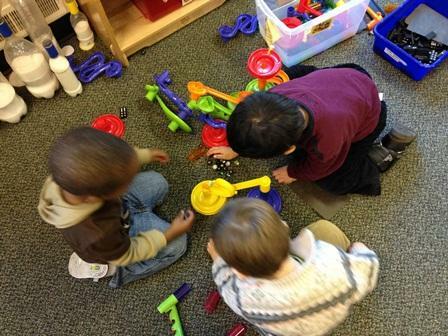 Michigan has made major strides when it comes to the number of kids enrolled in state-funded preschool. The state now ranks 15th in the country according to a new report from the National Institute for Early Education Research (NIEER). The state’s Great Start Readiness Program (GSRP) serves kids whose families make up to 250 percent of the federal poverty line. It enrolled almost 39,000 kids last year, which is a 64 percent increase from 2012.